Mt. 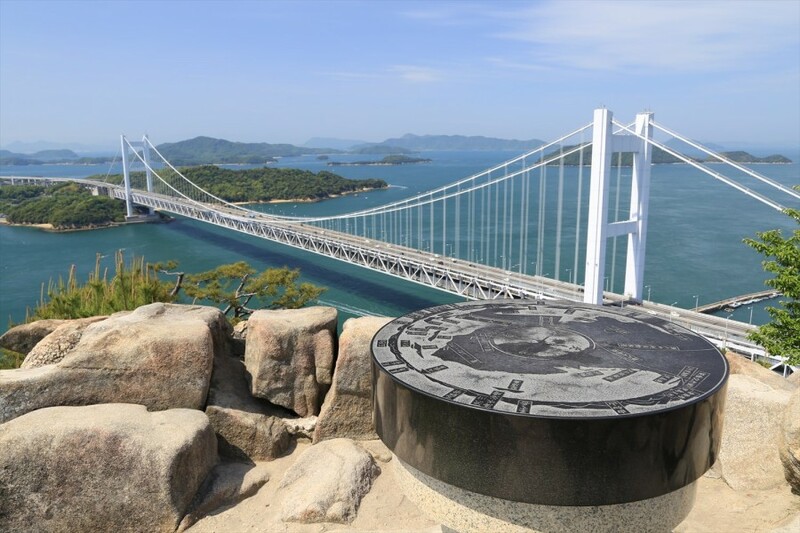 Washuzan offers visitors a view of the quintessential scenery of the Setonaikai National Park, known as Japan’s first national park. 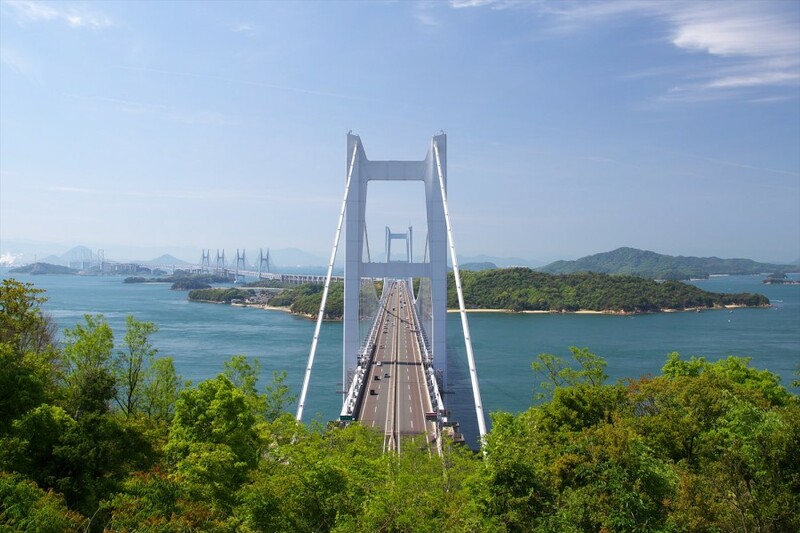 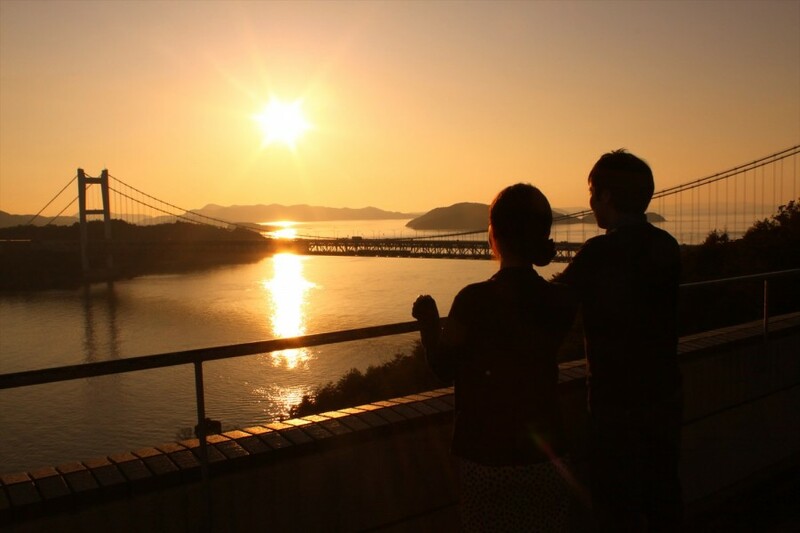 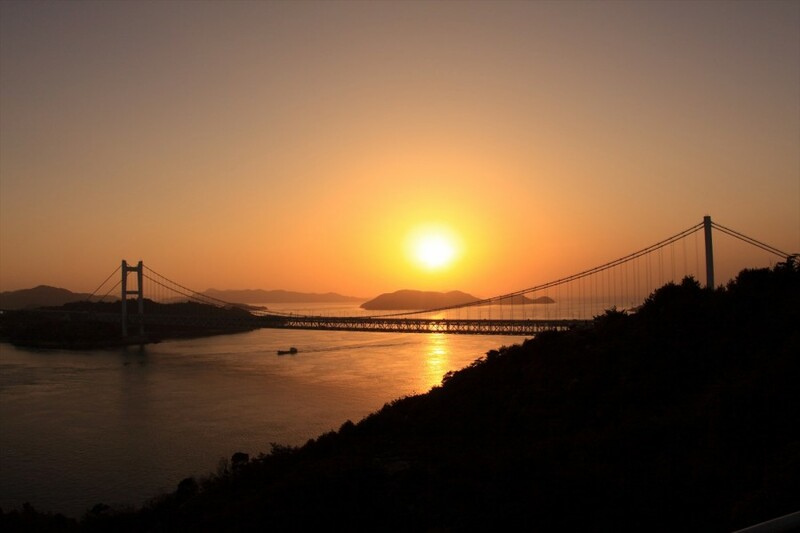 The park is a recommended site for viewing the Great Seto Bridge, newly listed in the Michelin Green Guide Japan as the longest two-tiered bridge system in the world. 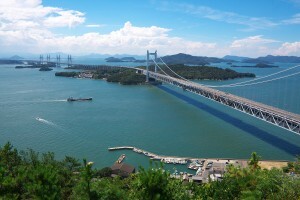 The view from the summit overlooking the Setonaikai (The Inland Sea), about 15 min on foot along the promenade from the parking lot, is highly recommended. 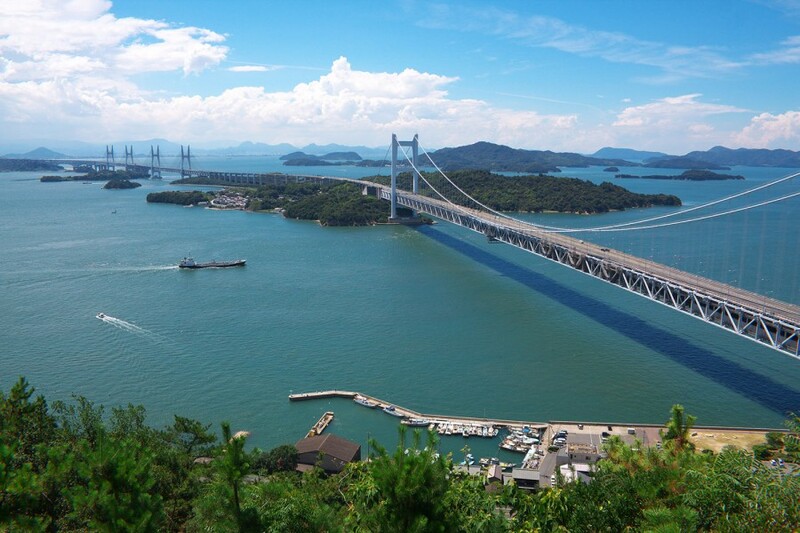 Visitors will be treated to a view of the 50 or so variously sized islands dotting the Setonaikai and of Shikoku forming the opposite shore. The observatory’s rest house also offers a scenic resting place. 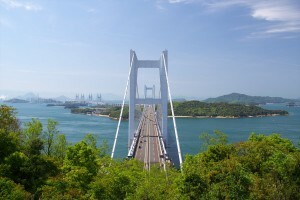 The view from Mt. Washuzan of the sun setting in the Setonaikai has also been selected as one of the 100 most beautiful sunsets in Japan.